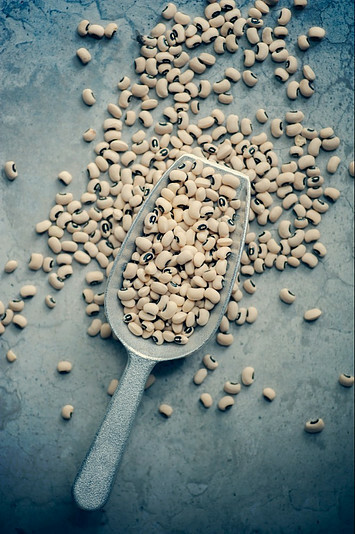 Beans are one a few foods that a lot of us got used to eating partly due to the cultural traditions and partly because most of us consider beans as a great source of plant-based protein. However, most of the modern diets, like keto or paleo diet, completely exclude this type of food arguing that beans mostly contain carbohydrates and should be excluded from the diet. If you are looking to lose weight, the answer to this question might be crucial. Why is it so important to know? Well, when you follow a low carb diet or simply trying to cut down on carbs in order to lose weight, every gram of carbohydrates counts. We used to believe that beans mostly contain protein (just because beans are commonly used as a protein substitute for vegetarians and vegans). However, as mentioned earlier, it might not necessarily be true. So are beans carbohydrates or protein? Beans are a type of seed referring to as a flowering plant family Fabaceae and used as food by humans and animals (1). They are also a type of broader food group of legumes. Beans are a traditional type of food for a lot of people in Central and South America and are used in a lot of traditional recipes. Nowadays people from all over the world rely on the convenience, affordability and nutritional density of beans every day. That is why for a lot of people knowing that they might have to exclude beans from their diet for some time is a big decision. 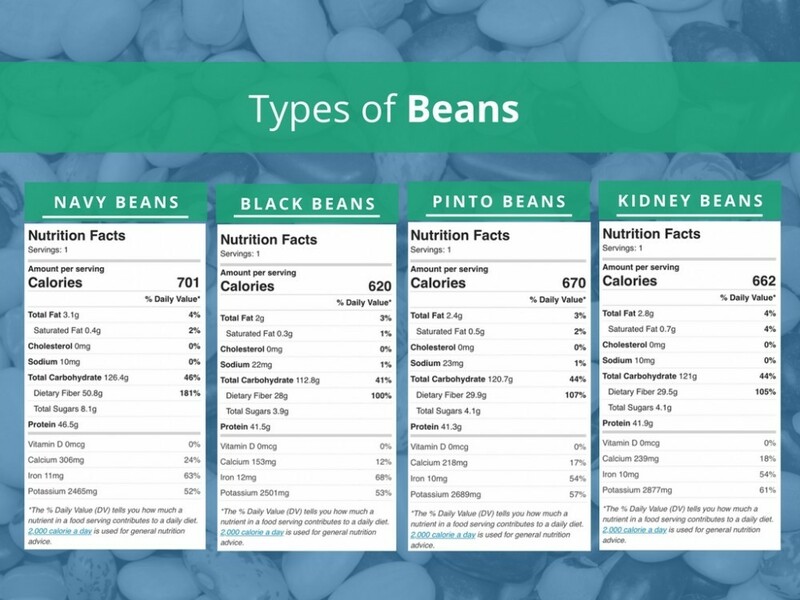 As you can see 1 cup of kidney beans contains 112.8 grams of carbohydrates and only 41.5 gram of protein that is less than a half of carbohydrates amount. And for the most part, this proportion will be true for most beans. So answering whether beans are carbohydrates or protein, the answer will be leaning towards carbohydrates. Yes, they are a source of protein however you would have to eat a lot of them to meet your daily requirement. But on top of that, you would also consume twice of carbohydrates that might not be efficient in the weight loss. If you are a vegetarian moderate consumption of beans is recommended, though consider incorporating other sources of plant-based protein like nuts and seeds. Why Beans May Still Be Good For You? Even though nutritionally beans should be considered as carbohydrates rather than protein, does it mean that we should not eat them at all? Beans contain an impressive amount of dietary fiber. For example, a cup of kidney beans as showed above contains 100% of daily fiber value. Generally speaking, fiber is not absorbed by our digestive system. Instead, it slowly moves through the digestive tract and adds bulk to the stool to aid in its passage. By doing so, it helps you with constipation and in some occasion even increase the stool frequency. However, like with any other fiber related food, make sure to slowly increase its consumption and to drink plenty of water while consuming beans to avoid gas, cramps and bloating. Heart disease if the most common cause of death worldwide. Interesting enough but regular consumption of beans paired with healthy diet and regular exercises may positively impact on your heart health. A study published in the American Journal of Clinical Nutrition in 2014 found that people who ate legumes had fewer heart diseases (2). Other researchers found the correlation between beans consumption and decreasing triglycerides and blood pressure (3). As I have mentioned earlier, beans are rich in fiber that helps with slow absorption of sugar in the bloodstream and therefore with maintaining blood sugar levels. In 2014 study it was found that people who ate beans regularly had lower sugar level compared with those who did not (4). Therefore, moderate consumption of beans paired with non-starchy vegetables, protein and low in carbohydrates fruits (like berries) can be a healthy addition to everyone diet. For example, as noted above a cup of kidney beans contain 68% of daily iron intake and 53% of potassium! It is very important for vegetarians and vegans that may benefit from consuming beans to fulfill these micronutrients needs. Because beans contain a lot of fiber, consuming them with the proper amount of water may satisfy the hunger for a long time. There are studies that show that people who regularly consumed beans actually had lower body weight compared with the ones who did not (5). However beans are high in calories and carbs, therefore will not be suitable for people following low-carb diets, like the keto diet. The paleo diet does not support the beans consumption for the same reason. 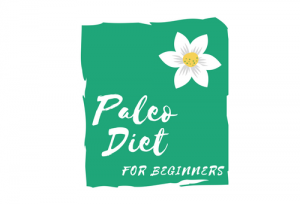 Even though the paleo diet technically is not a low carb diet, however, beans are considered as carbohydrates and therefore should be excluded the same way as grains (read more about the paleo diet avoid food list over here). Beans contain antinutrients that interfere with the absorption of certain micronutrients like iron and calcium. Phytic acid is one of the antinutrients that is found in beans, cereals, and nuts. It may prevent the absorption of certain minerals like zinc, calcium, iron, magnesium, and manganese. Over time it may even cause certain nutrient deficiencies for those eating legumes very often. Another antinutrient found in the beans is the lectin. It resists digestion and can possibly damage the lining of the gastrointestinal tract. It may cause nausea, vomiting and stomach pain. Also, beans contain sugars called oligosaccharides that may add to the digestive issues causing stomach pain, bloating and flatulence. As mentioned earlier beans should be considered as carbohydrates as it represents most of its nutritional value. Therefore, they are excluded from most of the low-carb diets, including keto diet. 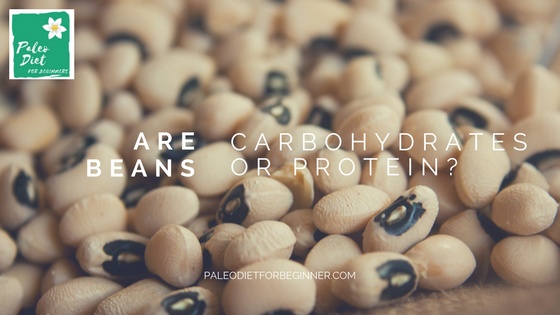 Even though the paleo diet is not considered as a low-carb diet, it limits the carbohydrates consumption and treats beans as grains and also excludes them from the diet. Another thing to consider is if you have diabetes, you would want to be very cautions consuming the legumes and be mindful what else is on the menu. As a basic recommendation legumes are better to be consumes paired with the non-starchy vegetables and lean sources of protein for a well-balanced diet. We already know that beans contain certain substances that may cause nutrient deficiencies and digestive problems. However certain cooking techniques may reduce the negative impact and enhance the benefits. Sprouting. It is a process of leaving the beans soaking overnight (between 8-24 hours) and then straining them and leaving to sprout. Sprouting may help to reduce phytic acid and increase other beneficial nutrients. Beans are one of the foods that are very popular in certain cultures and is very hard for some to give up on. Beans should be considered as carbohydrates and therefore if your goal is weight loss, should be excluded or very limited in your diet. Even though beans contain certain valuable micronutrients, they also contain antinutrients that block the absorption of certain nutrients and may lead to its deficiency. If you decide to keep beans in your diet, make sure to use special cooking techniques like soaking, sprouting or fermentation to mitigate those negative impacts. Do Vegetables Have Carbs? - Let's Find Out! Nutrition Facts are beans carbohydrates, are beans carbs, are beans good for you, beans, benefits of beans, why beans are not good for you. permalink. 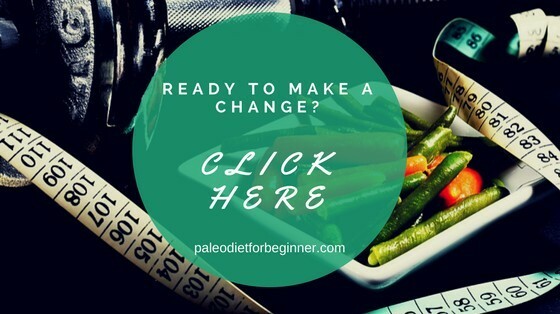 Paleo Plan – Make A Change Now! What Is Intermittent Fasting And How Does It Work On The Paleo Diet? These are uncooked beans caloric content I would assume? I read the label on all the cans of black beans I eat and that scared me. At cooked serving about 225 calories or so, and good amounts of fiber and some protein , I think they are an excellent addition to an ACTIVE diet. As you said if you are trying to take off weight they are definitely not a great midnight snack!! Good info. Yes, you are right, the values were given to the raw uncooked beans. Canned beans might not be the greatest food option too, as most of the cans contain extra sodium, that preserves water and adds to the bloating and digestive issues after eating beans. You are absolutely right, that in moderate amount and assuming that the beans were cooked in a certain way, beans can bring value to everyones diet. However if your goal is weight loss, it is recommended to reduce carbohydrates intake (that are usually the most calorie containing food as well). Therefore it is better to limit to minimum or even exclude beans from the diet until the weight loss goal is reached. This is a very informative article. I’ve recently become a plant based eater and rely heavily on beans as a protein substitute. I did not know that Paleo followers consider them a carbohydrate and therefore exclude them from their diet. I know seeds and nuts are a source of protein, but am concerned about the high calorie and fat content. Do you think I should I consider replacing beans with nuts and seeds for some of my meals? Thank you for you valuable comment. What kind of vegetarian diet do you support? If you eat fish, then fish will be a better source of protein. If you support vegan diet, then beans might be one of a few options that you would want to have to meet your daily protein requirement. Though make sure to prepare beans properly and lean towards cooking them yourself rather than being a canned version. A well-balanced diet should consist of protein, carbohydrates and fat. There is nothing wrong with fat consumption. Did you know that our brains mostly consist of fat? Without fat we will not be able to survive. You would want to have all 3 groups incorporated in your diet. Now if you goal is weight loss, you would want to decrease carbohydrates component. By doing so, your body will see that change in your diet and will start burning fat instead as a fuel. The keto diet is using this trick to get the best weight loss results. Let me know if there anything else I can help you with! This is the first post I read that has the benefits AND the drawback of beans. That’s made me enjoy this post even more. I am trying to eat something with more iron but beans do not seems to be the right solution for me because of a sensible stomach and that I don’t want to gain weight. Beans could be a great source of iron. If you use sprouting or even soaking them overnight for beans, it may significantly reduce that discomfort feeling after eating them. If you are a meat eater, liver will be the best source of iron. If you would like to get more plant-based iron, then nuts, seeds and all dark-green leafy vegetables (including spinach) will be the best way to increase your iron intake. All of them will be a great option for people targeting weight loss. Let me know if you have any more questions and I will be more than happy to help you out!